Presented by Lunin Show Productions. Alexey Arkhipovskiy is one of the world's most talented and inspiring musicians. 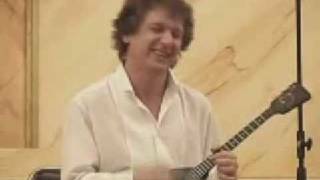 Russian born musician Alexey, has mesmerised listeners around the globe with his majestic and talented style of balalaika playing. Often compared with Paganini or Hendricks, musicians who revolutionised the violin and guitar, Arkhipovskiy has also created a unique different style combining methods of revolutionary innovation. Join Alexey for an unforgettable evening of music!